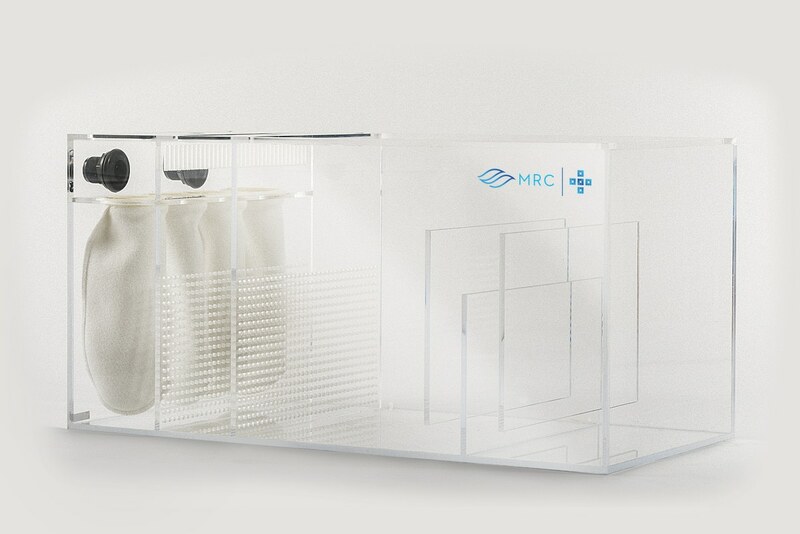 The Bio-Sump™ is the latest in filtration technology pioneered by MRC®. A sump can be and should be much more than a simple box that holds components. Done right, and it will be a powerful filtration tool that will keep your aquarium in optimal condition. 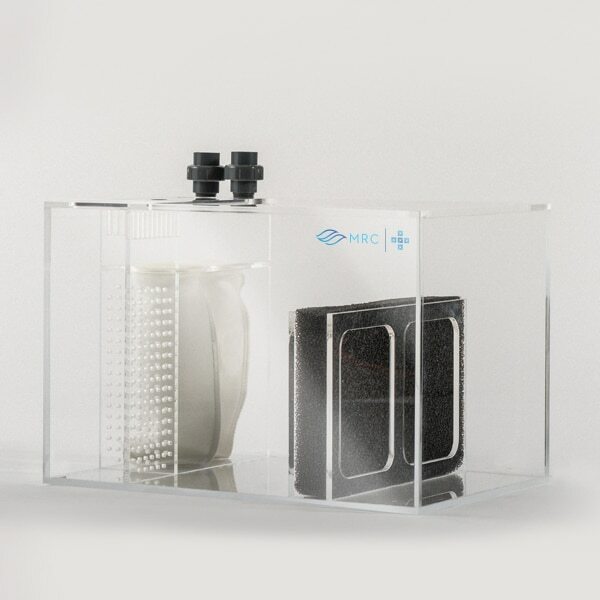 The MRC® Bio-Sump® features a sealed filter sock chamber, forcing 100% of the water through the socks instead of around them. In case of clogging, the chamber is equipped with an overflow to prevent spills outside of the sump. The inset lid will keep noise and splashing inside the sump, giving you a clean and quiet operation. Unlike traditional bio-ball sumps, the MRC® Bio-Sump™ will never become a nitrate factory. The media also never needs rinsing, cleaning or replacing. Larger than average sized skimmer area and Hi-Flow™ bubble baffles round out the design. Optional probe holder & effluent-line holders offer a complete filtration and monitoring headquarters! What’s the point in having great looking fish and corals if you can’t see their true beauty? MRC’s bio-sump is designed to filter out small particulate matter before it breaks down and contaminates the water. It’s fortified with an ultra high-capacity bio-media, giving you acres of biological surface area, helping you tackle nitrates and phosphates without your having to lift a finger. And unlike traditional bio-ball sumps, the MRC bio-sump® will never become a nitrate factory and never needs replacing. The most advanced filtration sump on the market, available in a compact package. Includes all the great features of the larger models without sacrificing room for your protein skimmer and internal return pump. Rounded off with our bubble crushing filter pad. As with all MRC® sumps, the highest quality and finish you’ve come to expect applies. Our most popular Bio-Sump® model. Tons of space for internal protein skimmers or reactors and submersible pumps. Bubble crushing baffles and silent operation. 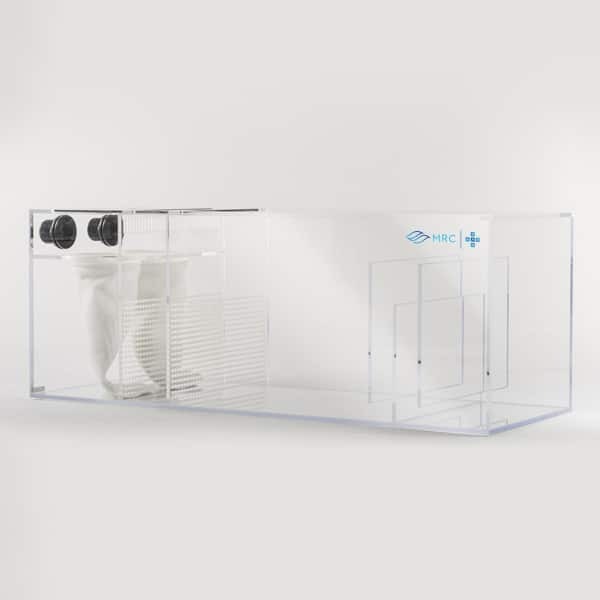 The Bio-sump® model for the most serious aquarist. Tons of space for internal protein skimmers or reactors and submersible pumps. Bubble crushing baffles and silent operation. Heavily favored by public aquariums and high-end installers. Looking for a Custom Sump? One of our MRC® consultants would love to help you. Purchase your +Series™ Sump from an authorized MRC® retailer today.